Portugal’s kitesurfing scene is less crowded than Spain’s, all thanks to the abundance of kiting spots scattered all along the coast. Add to that the great number of kitesurfing camps in Portugal that are starting to emerge, and you’ll see fewer students per instructor, which translates to faster progress. During peak season, the water temperature averages between 17-23°C (63-73°F) along the coastline. It is colder in the north and warmer in the south. In Portugal, strong swells come with the package. The waves are smaller in summer, which is a great time to go if you are a beginner, and get more powerful in autumn. 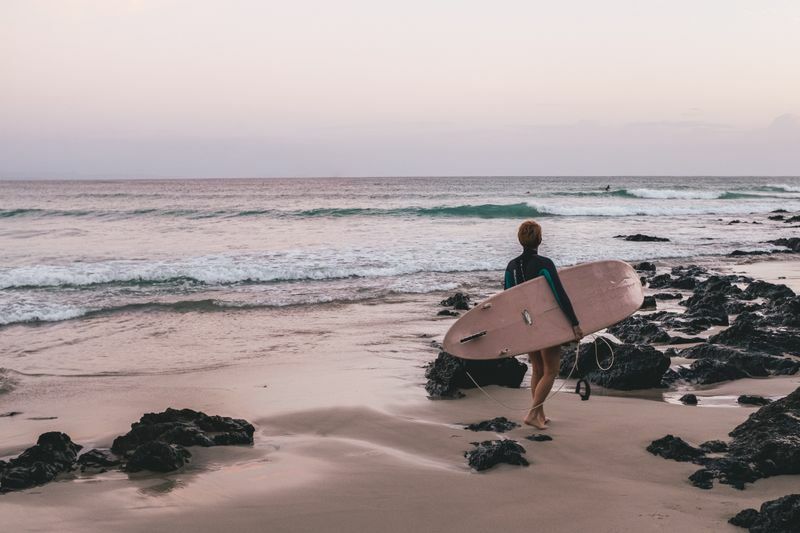 If you’d like to do some surfing while here too, check out our guide to the best surf spots in Portugal. Portugal’s Norte Region is one of the most underrated surfing regions in Portugal. The water is cold and the weather is even colder. But there are some advantages to that, and one of them is that it’s far less crowded. Water temperatures hover between 12 and 18°C (53-64°F) throughout the year, so a 3/2mm wetsuit is needed in summer and a 5/4mm in winter. 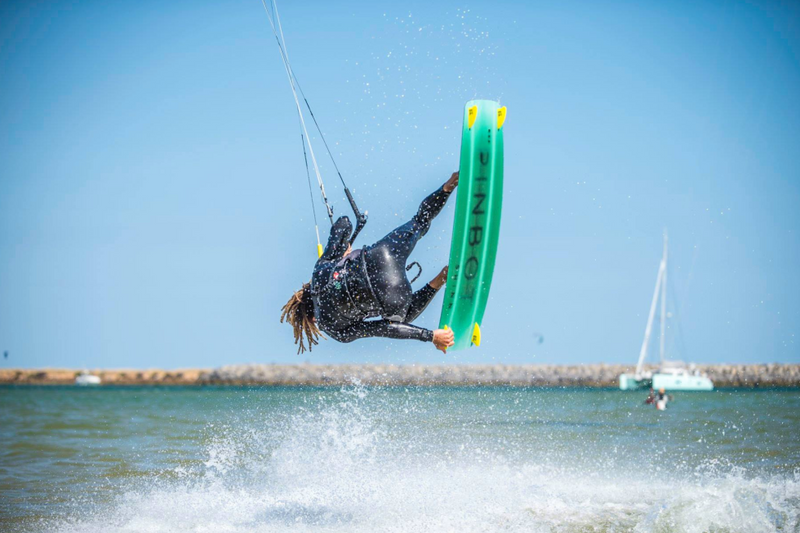 Tucked within the charming seaside city of Viana do Castelo, Cabedelo is one of Europe’s top emerging kitesurfing destinations, with some of the most consistent winds on the entire Portuguese coastline. Cabedelo is a wide beach that is sheltered from the waves by two large breakwaters. Therefore, the water is butter flat in the harbor. 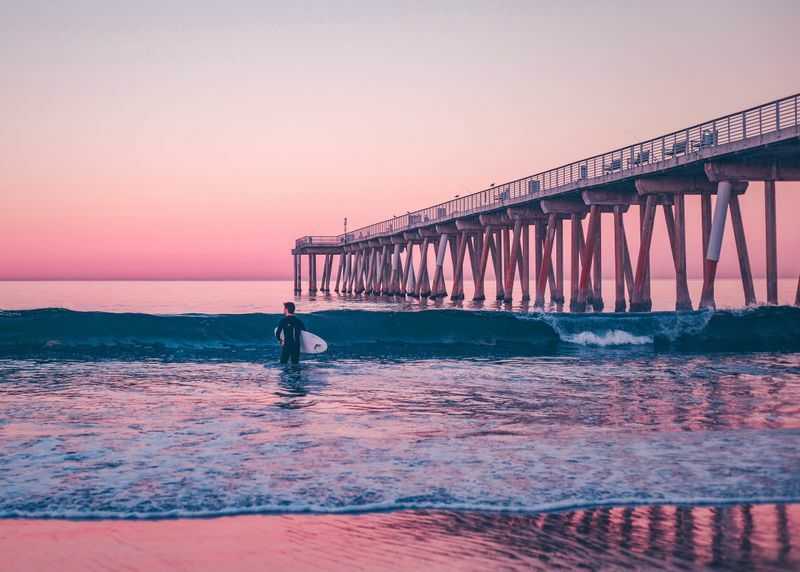 If you’re looking to score some cool waves, all you need to do is head further out into the ocean. The peak season for kitesurfing at Cabedelo is between May and September, but it really is possible to kite here all year round. It’s windy every day in summer, with speeds of up to 35 knots. The dominant wind is from the NW, and the main direction is side-onshore, which is also the best. South of Viana do Castelo and a 30-minute drive from Porto, Esposende offers a bit of everything – flat-water lagoon, rivermouth, and open ocean rides. The lagoon with a soft sandy bottom and shallow water is perfectly safe for beginners as well as for more advanced kiters looking to learn new tricks. 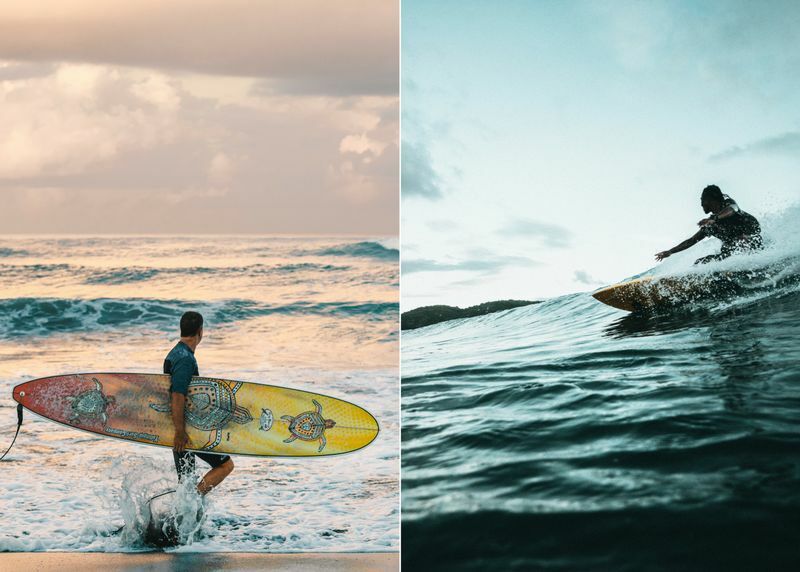 If you’d like to add some waves to your sessions, just head out into the ocean. The open beach with small dunes does not have any rocks and is very safe. The swells are stronger in spring and autumn, when intermediate and advanced surfers come here to catch the waves. Esposende works with any wind direction. In summer, thanks to the thermal Nortada wind, it is usually windier than the forecast predicts. Same as Cabedelo, the main season for kitesurfing at Esposende is between March and September, but it’s good in winter too. One of the most vibrant capitals on the Old Continent, Lisbon is considered Europe’s answer to San Francisco. And with good reason. 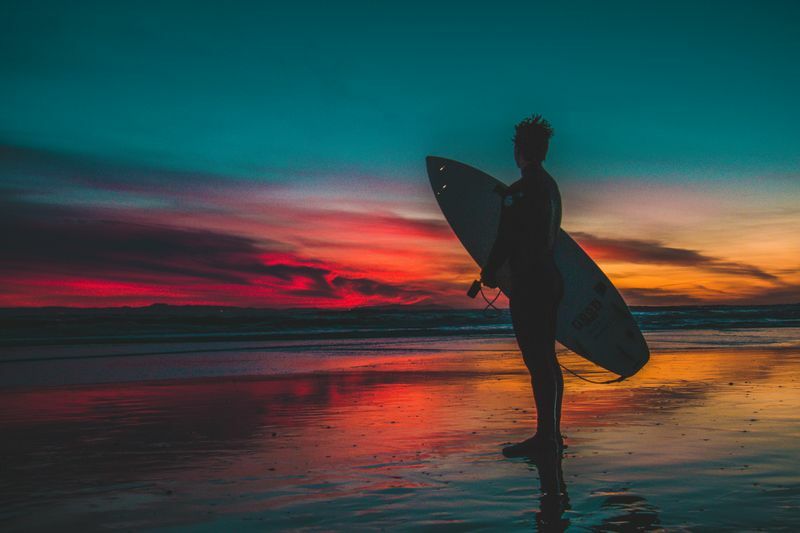 There are many uncanny parallels, including the fact that some of the best beaches for surfing and kitesurfing in Portugal are located in its immediate vicinity. The weather is lovely, and it doesn’t get too hot. Water temperature hovers between 12 and 22°C (53-72°F), but that can slightly change a bit depending on where you wish to go kitesurfing around Lisbon. The lagoons are usually warmer than the open ocean. You’ll most likely need a 3/2mm wetsuit even in summer, and definitely a 5/4mm in winter. Obidos is the largest saltwater lagoon in Portugal. 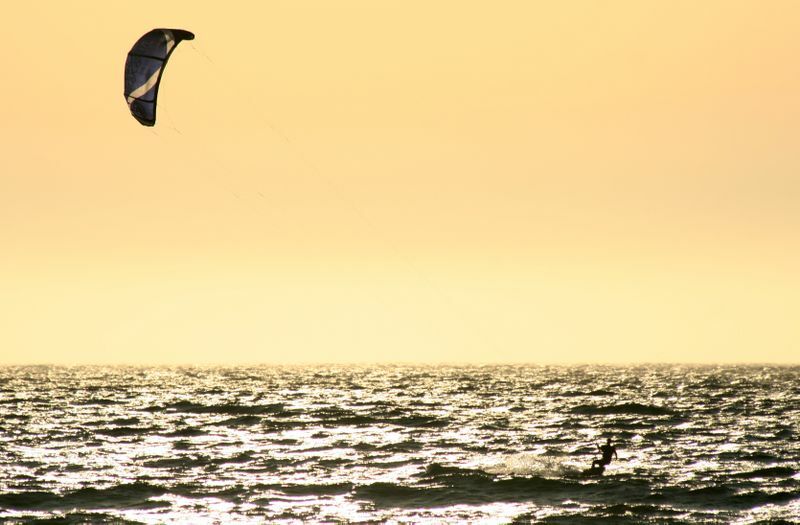 The combination of shallow, waist-deep water, usually flat and only occasionally choppy, makes the Obidos Lagoon one of the best places to learn kitesurfing in Portugal. A one-hour drive north of Lisbon, in the Centro Region, the lagoon is exposed to the full force of the Nortada wind, which gets even stronger thanks to the nearby hills. 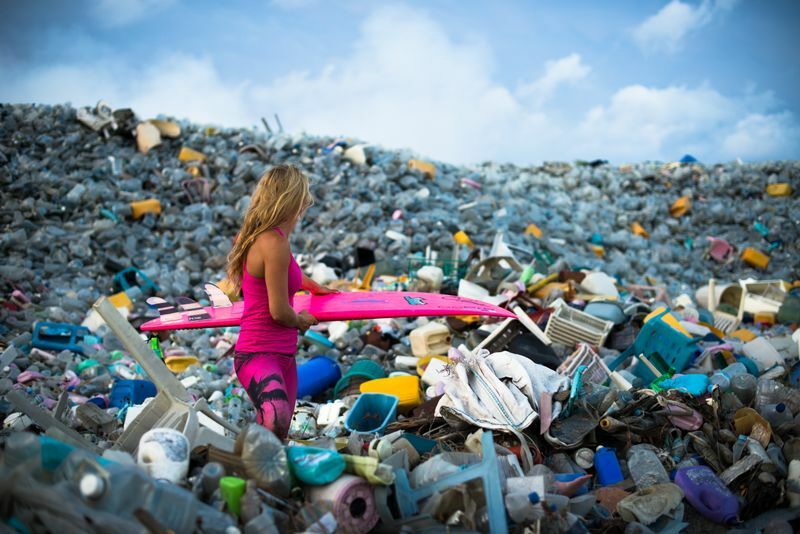 The conditions are excellent during summer, but this is a year-round kitesurfing spot. Obidos works with all wind directions and throughout the day. There’s plenty of room to practice and the wind is mainly side-onshore, both crucial factors when learning kitesurfing. It is also less crowded than other surf spots closer to Lisbon. The flat water provides the perfect playground to practice various maneuvers such as relaunching your kite, riding upwind, and even jumping. The bottom is sandy, there are no channels to drag you out into the ocean, which makes the Obidos Lagoon a very safe place where you’ll improve fast. If you’re looking for the ideal combination of wind and waves, Peniche is where you need to go. 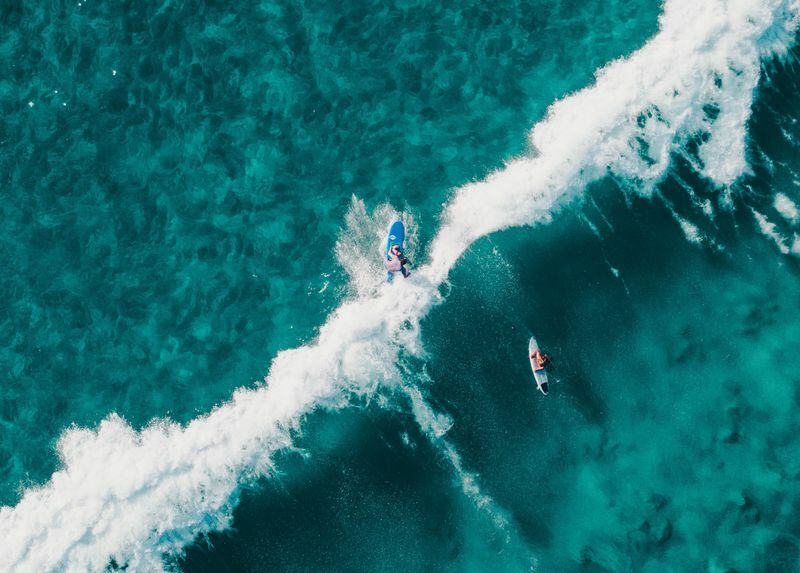 It is a surfer’s paradise, home to world-famous Supertubos, which not only attracts experienced surfers in search for the ride of their life, but also kiters craving adventure. Supertubos is reserved for advanced kitesurfers only, as the waves get crazy big. 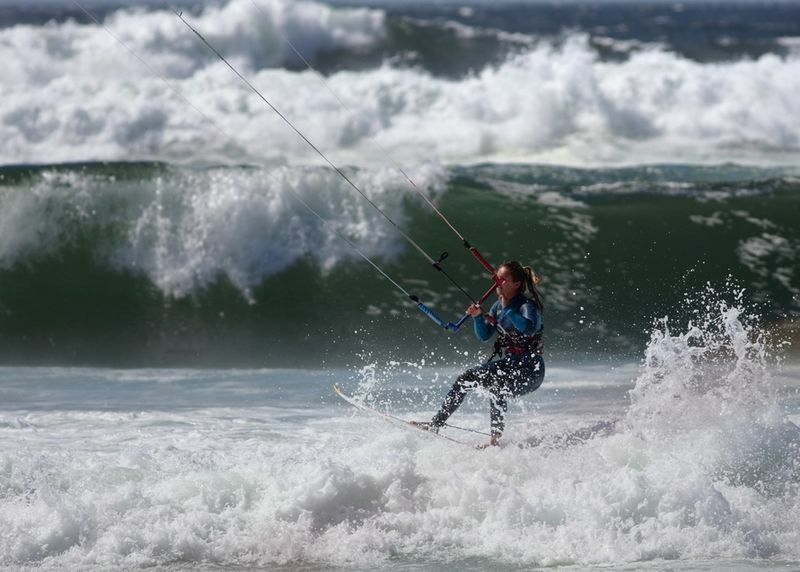 Kitesurfing in Peniche is possible all year round and with any wind direction. The dominant wind is the Nortada, and the best time to go kitesurfing in Peniche is autumn and winter. Autumn and winter is also when big swells hit Portugal’s coastline, producing big waves (over 2m) and some stunning tubes. The water temperature can drop as low as 13°C (55°F) in winter, so a 5/4mm wetsuit is mandatory. Praia do Guincho in Cascais has the most reliable wind in Portugal. If it’s sunny, it will be windy. Even when no other spots are working in Portugal. The Nortada wind gradually increases throughout the day, reaching speeds of up to 40 knots in summer afternoons. Since it’s located only half-an-hour from Lisbon, by car or public transport, it can get crowded. However, the beach is wide, and everyone is respectful, so there’s enough room to launch your kite safely. 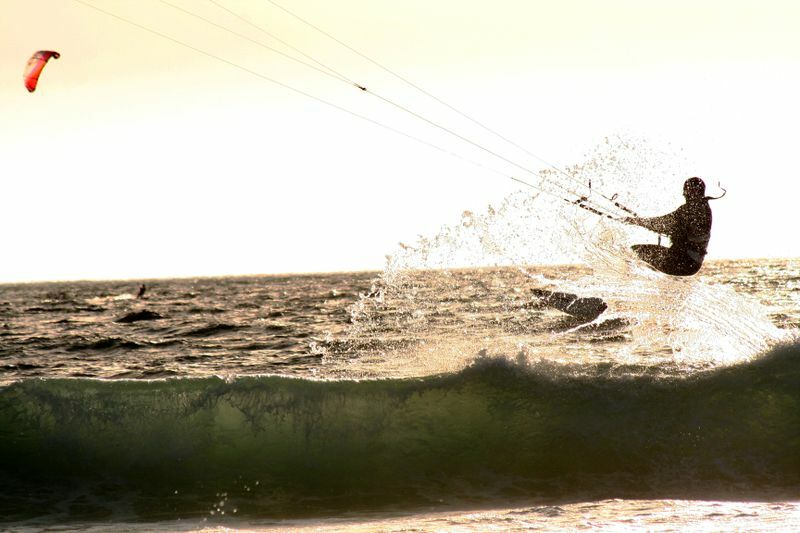 The kitesurfing season is between April and October, with July and August being the best months. Guincho is exposed to NW swells, so it does get some nice waves (1-2.5m) on bigger days. The usual wind direction is sideshore. The weather is slightly colder than in other places in Portugal, with a maximum air temperature of around 28 ºC (82°F). The water stays cold throughout the year, between 11-17ºC (52-63°F). In Costa da Caparica, Fonte da Telha is a sandy beach with some small waves, great for beginners as well as for more advanced riders. Surprisingly, this is an uncrowded spot, a hidden gem if you like, despite being quite close to Lisbon. The swell is smaller than at Guincho and, like most kitesurfing destinations in Portugal, the winds are stronger in the afternoon. Please take note that you should only kitesurf with a sideshore and side-onshore wind because of the cliffs in the back. 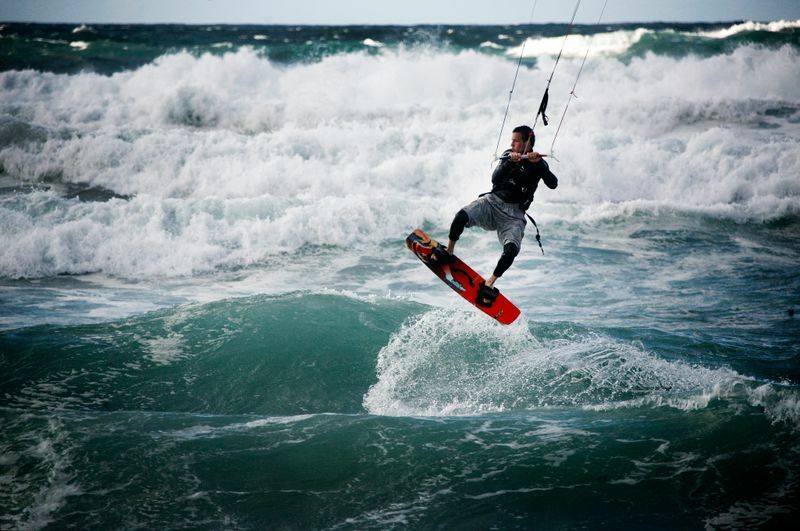 The best season to kitesurf at Fonte da Telha is April through September. But you can kite here all year round. 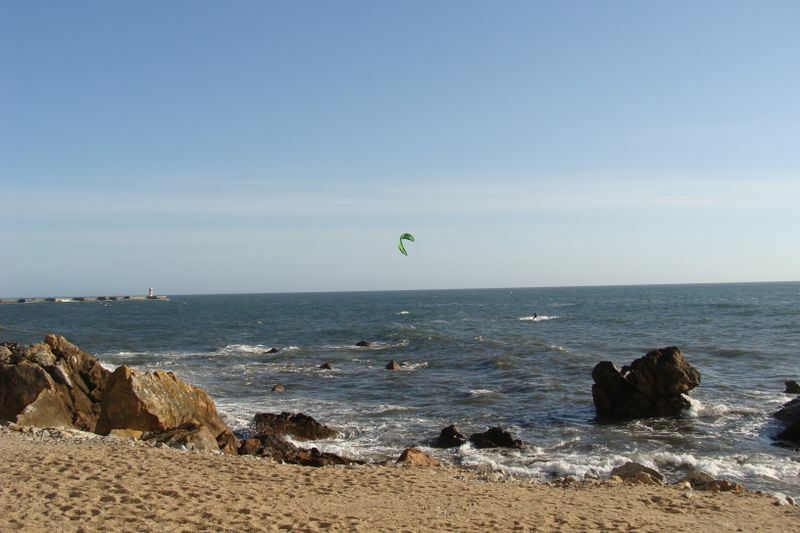 In fact, this is one of the few places in Portugal where you can kitesurf in winter too. 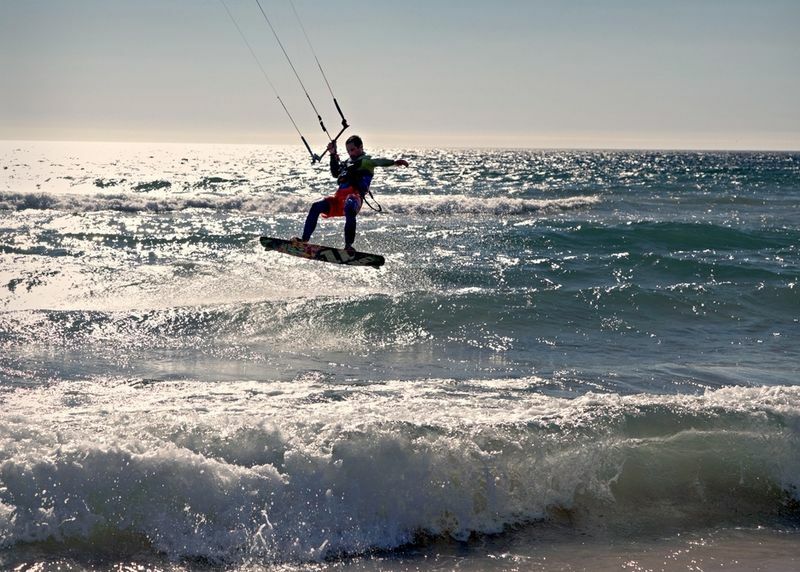 In the Setúbal District, south of Costa da Caparica, Lagoa de Albufeira offers both flat water and open ocean kitesurfing. The lagoon is separated from the ocean by a sandbar and, thanks to its chest-high and flat water, is a great place for beginners. Those looking for some waves can go further out and into the ocean. The best time to go is between May and September, when the Nortada wind blows from the NW with an average speed of 18-20 knots. In the south of Portugal, the Algarve is blessed with 300+ days of sunshine per year and slightly warmer water temperatures, which hardly ever drop below 15°C (59°F). Southern Portugal is exposed to the strong Nortada wind, which starts to blow at 25 knots each afternoon like clockwork. 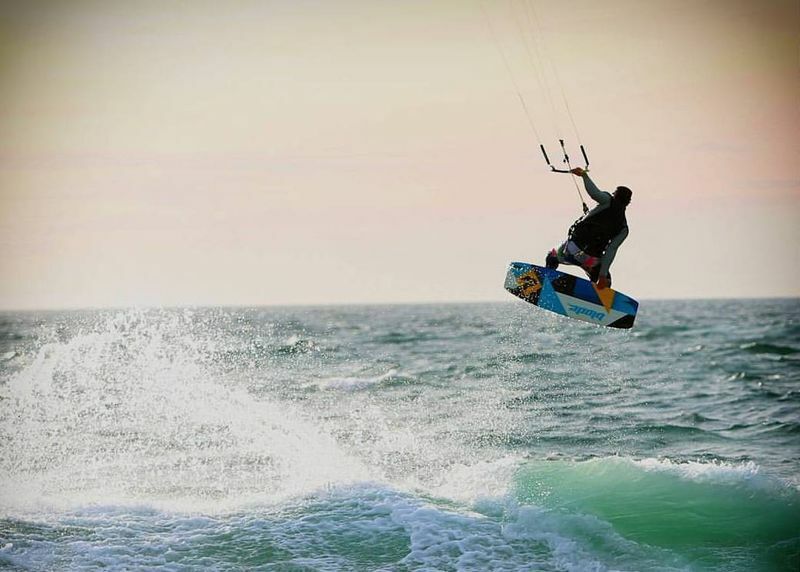 The peak season for kitesurfing in the Algarve is between May and September, when the water temperature hovers between 21 and 24°C (70-75°F) and the air temperature from 24 through 31°C (75-88°F). An uncrowded spot that is famous for its quality open-ocean kiting, Carrapateira works with any tide and any swell direction. You can kitesurf here all year round, but it is better in spring and autumn. Because of the dangerous currents and the powerful waves, from 0.5 to 5 meters or more, Carrapateira is only recommended for experienced kitesurfers. The dominant wind is the Nortada, blowing from the NW, and it is very stable, between 13 and 25 knots. The direction is mainly side-onshore. 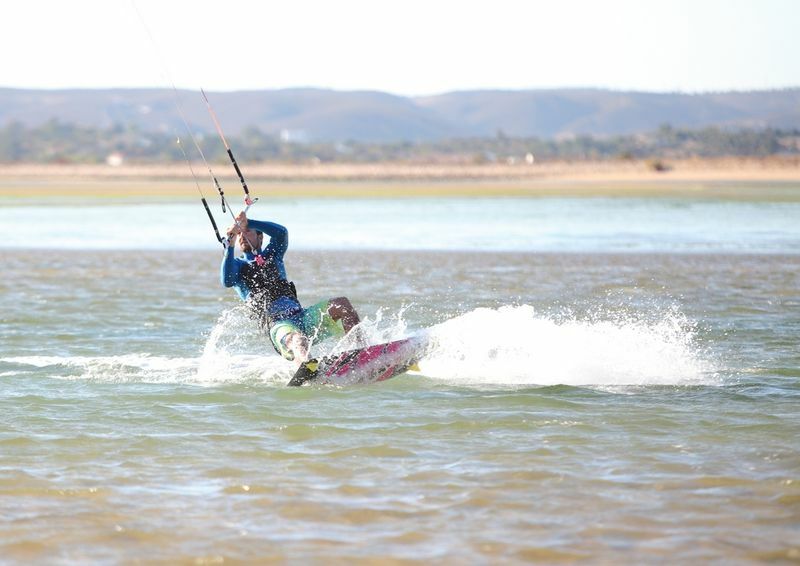 Located between Lagos and Alvor, at the end of Meia Praia Beach, the Alvor Lagoon is considered the best kitesurfing spot in southern Portugal and one of the best places to learn kiting in Europe. The lagoon is usually perfectly flat thanks to the sandbars, but you can find choppy water at the rivermouth. It offers good conditions with any wind, and it’s better for beginners with a mid-tide. Most of the lagoon has waist-deep water. The Nortada wind blows onshore/side-onshore in the lagoon, but only on sunny days. The wind speed increases in the afternoon, reaching an average of 20 knots. 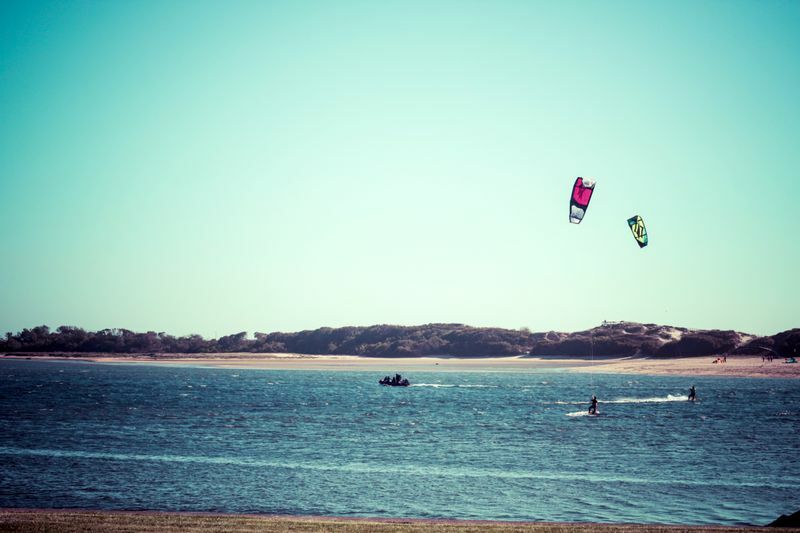 It is possible to kitesurf at the Alvor Lagoon any time of the year, but the best conditions can be found between May and October. The wind is strongest between June and August. In need of some guidance to find the best kiting spots for your level? 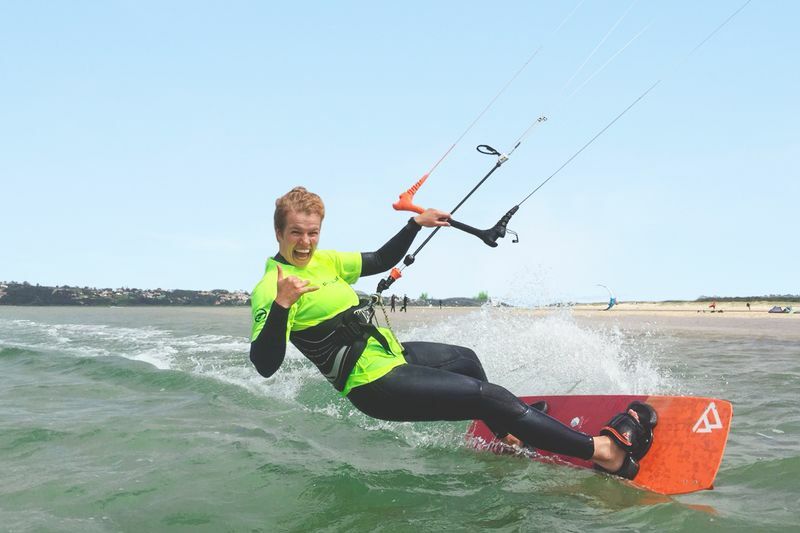 Find a kitesurfing camp in Europe that will help you learn the basics and improve your technique in record time!